All chrome headers are polished before and after assembly for show quality appearance. Note: The manufacturer of the product accompanying this document represents that it has not been found, nor is believed to be, unlawful for use under provisions of the Clean Air Act, per the manufacturer’s application guide. This product is not legal for sale or use in the State of California (or in states which have adopted California emission standards) except on pre-emission-controlled motor vehicles/motor vehicle engines (pre-1966 model year). Roadster "Fad T" and '32 Hi-Boy headers have set the industry standard for style, quality and performance. Choose between the Classic or the high performance Sprint style for small and big block Chevy and small block Ford engines. 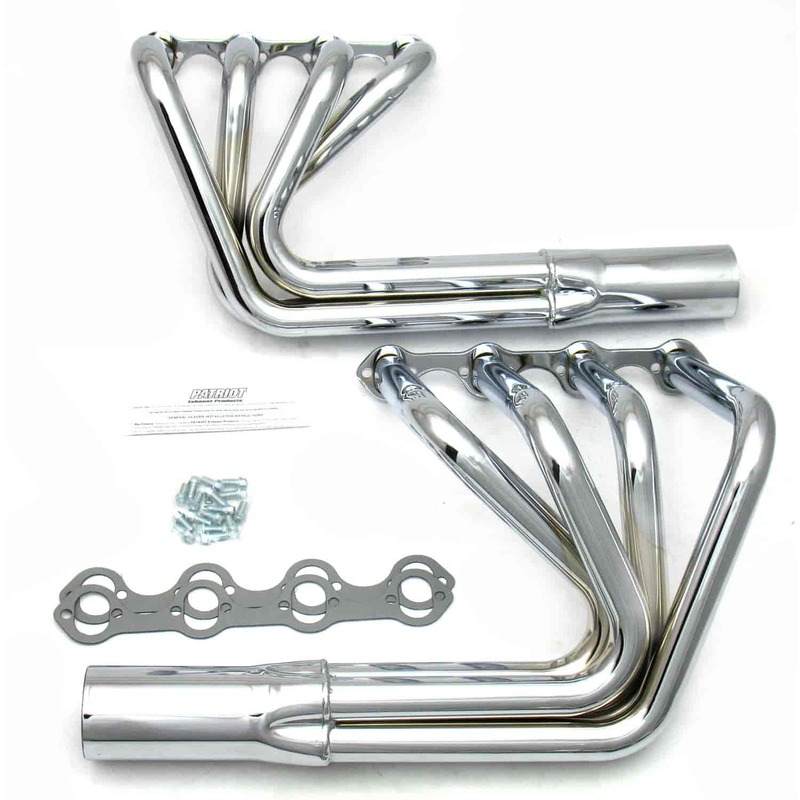 Match these headers with our Turnouts and integral mufflers for a complete exhaust system. Roadster headers are available in raw finish, with Patriot's metallic ceramic coating or with show quality chrome. All chrome headers are polished before and after assembly to assure ultimate chrome quality 360° around all pipes.